There's already been a lot written about Nine Network entertainment reporter Richard Wilkins and rumours of actor Jeff Goldblum's death, which spread at the same time as the world was learning that Michael Jackson had died of an apparent heart attack last Friday morning, Melbourne time. Wilkins' conduct - mentioned as far afield as the Daily Mail in London and exploited for humour by Rove McManus last night - looks more appalling than comical when one examines the timelines involved and considers the resources he has available to him as a highly-paid and apparently well-connected correspondent. (c) worst of all by far, giving the rumour credence by – falsely – attributing the report directly to New Zealand police as though he had spoken to them, and not to the hoax website (which claimed NZ police as a source). New Zealand police are saying that that is a correct story. 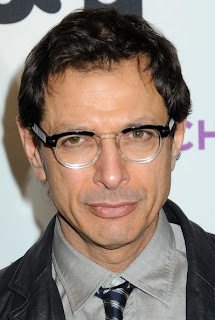 Wilkins and colleagues then went on (over a "highlights" or obituary reel of Goldblum's acting) to discuss his career achievements while speaking of him in the past tense. Some Australian Twitter users then began repeating Wilkins' report on the basis that he had confirmed the truth of the rumour. Indeed, overseas Twitter users began identifying "TV news in Australia" as having verified Goldblum's death; thanks to Wilkins' confirmation, many like this even had the actor dying IN Australia. It wasn’t long before celebrity users like Demi Moore – with millions of followers on Twitter – repeated the rumour and expressed their concern. Meanwhile, back on the Today show, the time clock in the bottom right indicates that Wilkins was reporting this "correct story" at 9.42 am Eastern Australian time. New Zealand is two hours ahead of Eastern Australia, so it was already late morning in New Zealand, and there should have been no difficulty in getting NZ police media sources on the line to check the story before simply repeating a rumour from Twitter. Furthermore, Wilkins is a "showbiz" reporter of many years' experience. Viewers could reasonably expect Wilkins to have links to "insiders" (e.g. artists' management and publicists, etc.) not accessible to the general public and to have checked with some of his supposed Hollywood connections, again, before treating the rumour as essentially being fact. The links to the "story" as it was being posted on Twitter soon after 9 am on Friday all traced back to a single hoax website – there was no great difficulty establishing that it was a hoax. Indeed, Twitter users were already identifying it as a probable hoax as early as 9.31 am (see my own tweet and re-tweet. That is, 10 minutes before Wilkins made the statement that "New Zealand police are saying that that is a correct story", numerous average Twitter users had already exposed it as a likely or definite hoax. When the likelihood of the report being a hoax was mentioned on Nine (at 9.55 am), the Today hosts and Wilkins did not apologise but rather blamed the nasty, exploitative hoax website for spreading the rumour ("that’s sick"). To add insult to injury, in Nine's main Friday evening news bulletin, as a "footnote" to the Michael Jackson coverage, it was noted that "a rumour spread online" about the death of Goldblum. There was no mention of Nine’s role or of "Dickie" Wilkins' significant contribution to the rumour via his lazy, shoddy journalism. A clique of angry, nasty conservatives steadfastly refusing to live by the "personal responsibility" mantra that forms the basis of their philosophy.